If our easy-to-use (and easy-to-gift) Coffee Essentials Kit is like a well-packed suitcase, the Stagg™ Mini Pour-Over Kettle is like a one-way ticket to a tropical island: Each is lovely to have on its own, but there’s no denying how wonderfully they go together. 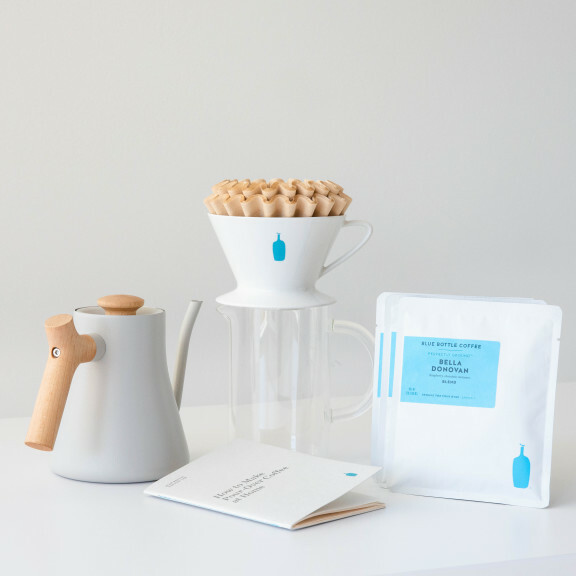 Complete with our custom Dripper, filters, Coffee Carafe, Holiday Blend Coffee, and our exclusive Pour-Over Brew Guide, this Kit comes with everything you need to make delicious pour-over coffee. Want to level up your technique? 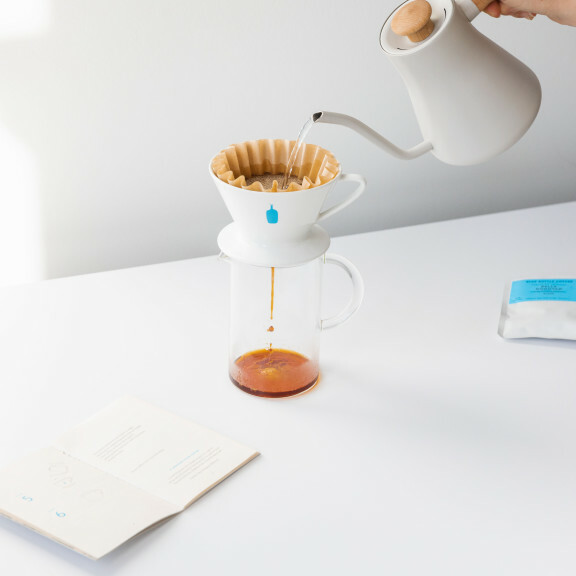 With its precision-pour spout, the Stagg™ Mini Pour-Over Kettle gives you total control over your pour-over ritual, allowing you to create a cup that matches your instrument in elegance and beauty.